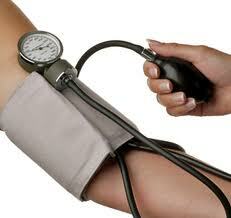 Are you suffering from hypertension? Gorge on a spicy diet rich in hot chilli peppers, for a study claims that it can help control your high blood pressure. Researchers in China 've carried out the study & found the active ingredient that gives the peppers their heat - a compound known as Capsaicin also relaxes the blood vessels. For the study, the researchers at the Third Military Medical University in China fed hypertensive rats a diet rich in capsaicin, which is found in chilli peppers. They found the die reduced the rats' blood pressure o'er time. The ingredient works by activating a receptor channel found in the lining of blood vessels. This leads to a rise in production of nitric oxide, a gaseous molecule known to protect blood vessels against inflammation & dysfunction. The study isn't the first to look for a molecular link between capsaicin & lower blood pressure but earlier studies were based on acute or short-term exposure to the chemical, rather than long-term treatment with capsaicin on rats with high blood pressure. However, the researchers said further studies would be needed to see how many chillis would need to be eaten each day to 've a positive impact on humans. Prof Zhiming Zhu, who led the study, said hypertension affected more than 20% of people in northeastern China compared to 10-14% in southwestern China where the residents eat hot & spicy foods with lot of chilli peppers. The study has been published in the Cell Metabolism journal.